Jade Vopat expects to see more time on the basketball court this season as a guard. Lucas Cook investigates. ABILENE, KS – On November 27, the first public glimpse of the ballers in orange and brown was seen by the public. Jade Vopat sat on the edge of the bench near assistant coach Mark Willey. 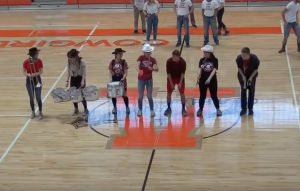 On the opposite side of the court stood head coach Molly Burton, a smaller group of Cowgirls in her own custody as both coaches led half of a team in the scrimmage. Jade scanned the group on the floor as they played. Within the minute, she herself trotted out onto the court and immediately took her position. Sticking onto her opponent like glue, she restricted most, if not all, shots. Before too long she switched jerseys. In largely the first action she’d seen since the ending of the season prior, Jade had done well. The smallish group of Abilene faithful watching were vocally supportive in Abilene’s version of Madness in Manhattan or the University of Kansas’ televised Midnight Madness at the Phog Allen Fieldhouse. However, Jade knew it would be nothing like the roar that would be achieved later on in the season in the same court–the stakes would be higher, the pressure more bearing, and the speed would most likely be faster than it would be in the practice (despite its relative quickness and back-and-forth nature). But she is ready for it. Jade (right) listens intently to Coach Burton during a game last season. Jade did not see much action last season, but so far through three games in 2018 she has been a crucial member of the team. Basketball season is upon us, as evidenced by the buzzer noises filling the hallways thirty minutes after school ends. It’s a time of great uncertainty for the program, as both the boys and girls teams have lost pivotal starters. For the girls, those stars were outgoing seniors Emma Bathurst and Jensen Roth, as well as Shiann Olberding and Maci Debenham. Many girls will have to step into roles this season so as to keep the tradition of excellence in Cowgirl basketball. One such player is Jade Vopat, a guard who has been spectacular in junior varsity action over the last couple of years for Coach Burton. 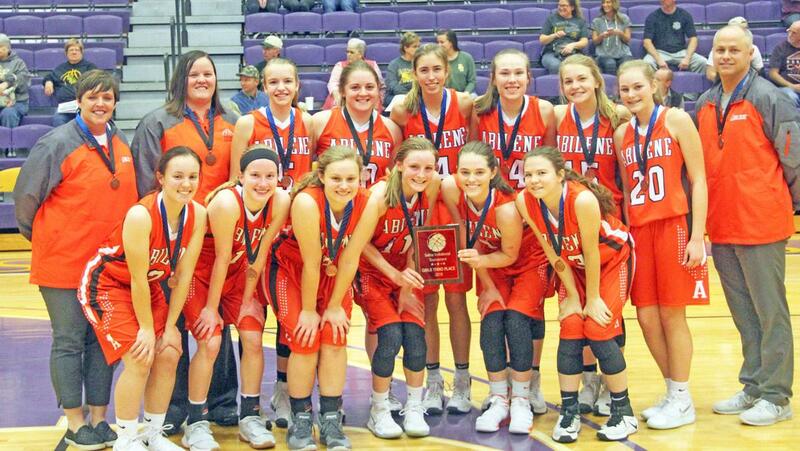 Jade Vopat (front row, far left) with the girls’ basketball last season after their third place finish in the SIT. She plays multiple guard positions, a duty that is more difficult than it seems. She describes herself as a point guard under Molly Burton’s system, however, and says that it has been her position for a while. Until this year, Jade saw very limited action in varsity games for the girls. Chalk it up to her youth (Jade is a junior this year) or her height (she is listed as 5’4″), but neither of those factors have seemed to restrict her ability during the games when she is playing. Coach Burton described her as a bit of a multi-tool. “Jade splits time between the point guard and off guard positions. She is quick and intelligent. She knows the plays and sees the floor well. Jade, 2, watches the ball off the tip at the beginning of the game against Rock Creek. 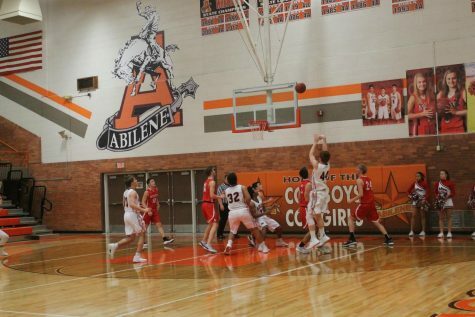 This improvement will be needed in a season in which Abilene is expected to be in a dogfight to win the league title. 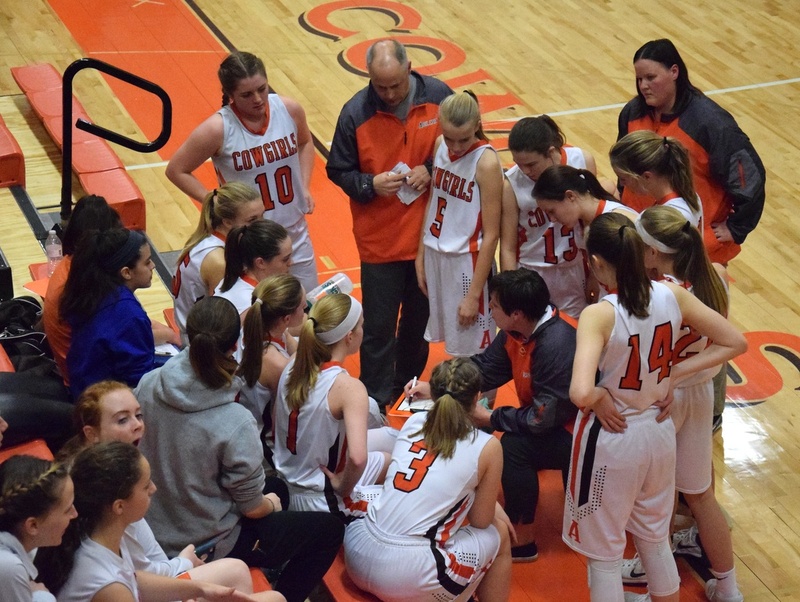 Last season, the Cowgirls finished third behind a resurgent Clay Center girls’ squad and the typical Marysville stalwart. Their record of 13-8 does not denote their hardworking tendencies, however. Even with losing pivotal members of last year’s team, this current team looks to improve. 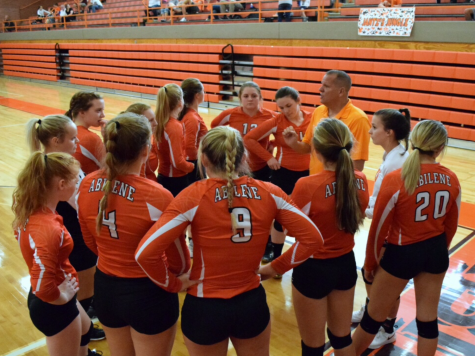 It will be all hands on deck in order for the Cowgirls to make it as far as they need to. Jade Vopat seems to be another piece of the puzzle towards hanging another banner in the gym. Jade’s athletic profile is fairly broad. Basketball is not the sport she would say is her favorite. 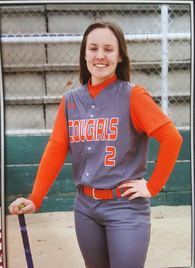 For the last couple of seasons, she has suited up for Abilene’s highly regarded softball team in a multitude of different positions, including pitcher and outfield. She made the NCKL’s 2018 All-League Softball team as a catcher in just her sophomore season. 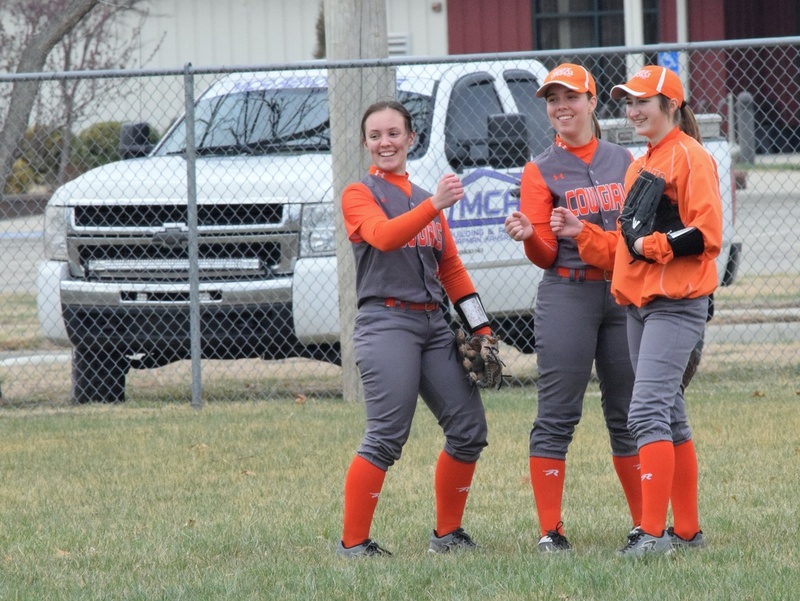 Head softball coach LouAna Taplin called her “a very versatile athlete” in an early season softball preview interview with Ron Preston at the Abilene Reflector-Chronicle last year. From her softball recruiting profile. 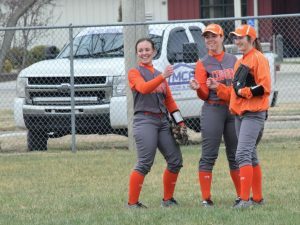 Jade, left, with Rylie Volkman and Kayley Taylor, during a softball scrimmage last year. Her resilience, both on the court and off of it, is inspiring. 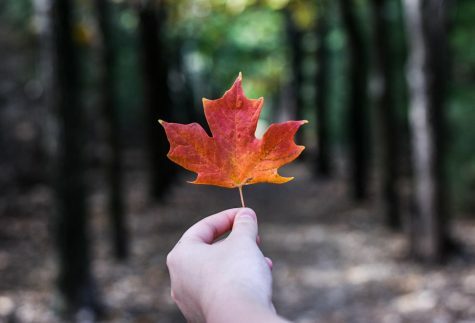 “Resilient. You can get on her in practice and she works hard to improve. Then she comes back the next day ready to work hard again,” Coach Burton noted. This commitment to improvement has been seen so far through the grind of the early basketball season. Last year, Jade fought to get on the court at all during the varsity games. She seems to be in the driver’s seat as a mainstay. In three games so far this season, she has seen prominent time in both guard positions Coach Burton described. December 4th saw Jade earn some of her most valuable time as a basketball player against the Rock Creek Lady Mustangs. She finished the day third in points with eight, behind seniors Hannah Willey and Sydney Burton. This, compounded upon the defensive success she’s had in games versus Augusta and Smoky Valley in their courts, points to Jade being not only a prominent member of the team, but a pivotal secret weapon in the fast-paced, raid-style offense that Coach Burton has designed for this season. 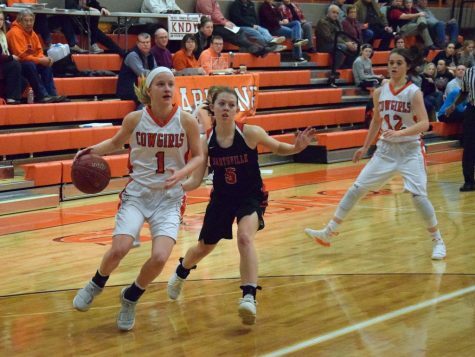 Specifically, in the Augusta game, she provided pivotal points of defense against a rallying Augusta team, despite her only points coming off of a single landed three pointer. Still, those three points managed to be the difference, as the Cowgirls won by two points in overtime. 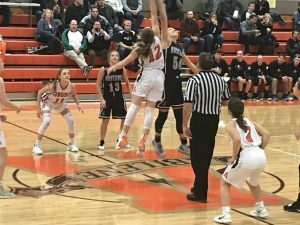 Her ability to see the full floor allowed a multitude of open looks to be accessed during a second half that saw the Cowgirls mop Smoky Valley up off of their own court. Aside from her prowess in sports, Jade is also very active in other forms of extra-curricular activities. 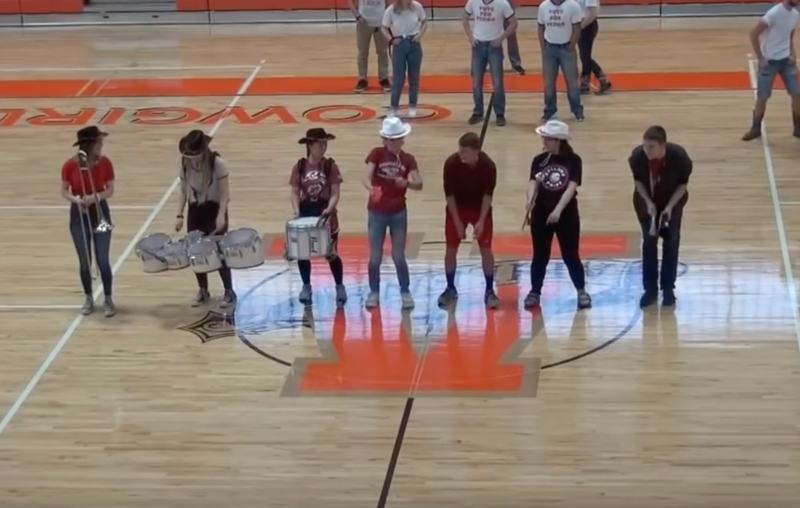 She participated in Zach Schultze’s Cowboy Joe campaign, appearing in his skit as a member of the band, a role she handles in real life as well. 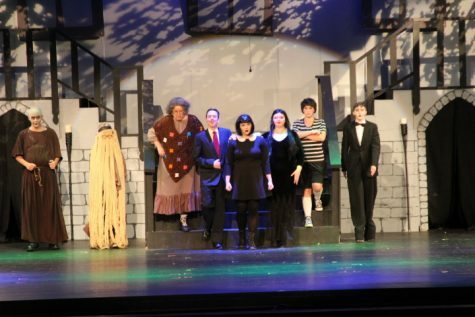 Jade, third from the left, in Zach Schultze’s campaign skit. “It was so much fun!”, she said on her time in the skit. She also enjoyed her time as a member of Zach’s election committee. Jade, second to the right on the bottom row, with the rest if the AHS District band students. 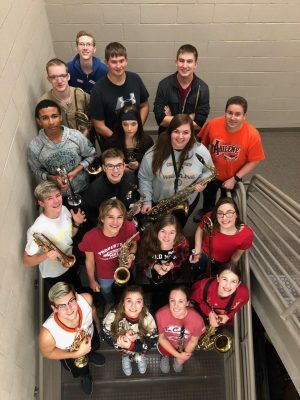 Her time in the band as a clarinet player has brought its own fruits, as she’s landed roles in the district honor band as recently as this year. Senior Dawson Whalen called Jade “a decent player; she plays clarinet and trumpet.” Fellow senior Braydon Surritte, himself a senior, echoed Whalen’s statement. 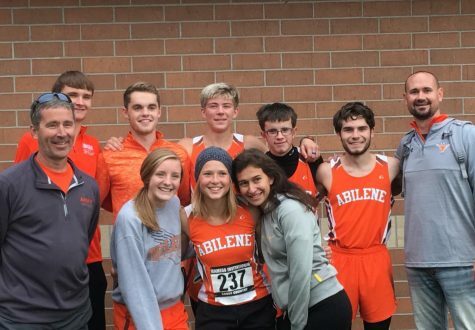 This season is very promising for many athletes of Abilene High School. 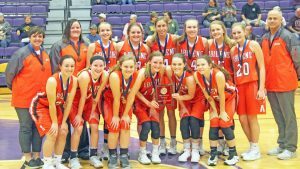 Despite the relative unknown of what the upcoming basketball season holds–especially for the Cowgirls–there is reason for excitement. Many players who have not been able to show their ability up until now will finally be put to the fire. 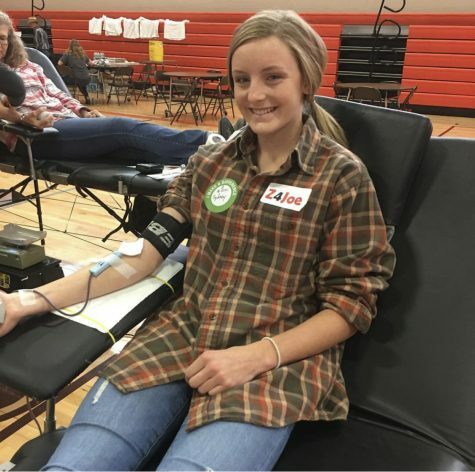 Jade Vopat is ready for the challenge, and she thinks the rest of the girls basketball team is as well.